The “Lion King” has Returned to DC! 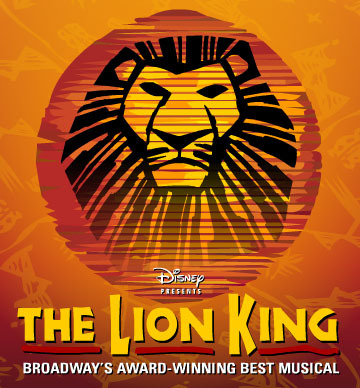 Disney’s landmark musical event, “The Lion King” has returned to the DC metro area! This award winning musical has made its way around the globe and is back in the DMV (DC, Maryland, VA) area to captivate audiences once more. But only for a limited time— after August 17th it will be gone. Therefore, be sure to get your tickets now to experience the dynamic ingenuity of a classic American story brought back to life live at the Kennedy Center. COLUMBIA, MD– 25 miles northeast of Washington, DC; in the suburban area of Howard county, on a quiet Saturday morning as patrons moved about the mall’s corridor doing their weekend shopping; an unidentified gunman opened fire. The sound of gunshots rang out causing shoppers and employees to run frantically towards exits and inside stores seeking shelter. The gun man killed two employees of Zumiez just before turning the gun on himself. Zumies is a clothing, footwear, and accessories store marketed towards individuals interested in skateboarding, snowboarding, and surf lifestyles; located on the second level of the mall. Howard county officers have identified the slain store employees as Brianna Benlolo, 21, of College Park and Tyler Johnson, 25, of Mount Airy, MD. The gun man, 19 year old Darion Marcus Aguilar of College park, MD was found outside the Zumies store and later identified. Aguilar was a straight clean cut, polite young man with no mental health issues or criminal background. There are still no answers as to why he shot and killed the two store clerks. Authorities uncovered a journal from Aguilar’s home but it is still unclear as to what his motive was. According to the Washington post, both Benlolo and Johnson were said to be good people with no reason for anyone to attack much less kill them. Benlolo was an assistant manager at Zumies and a mother of a 2 year old. Johnson was reportedly a shy guy but enjoyed and frequented concerts. There is still no known connection to the gunman and victims. The Saturday of terror is over and the Columbia Mall reopened yesterday. Many employees have return to work and patrons have made their way out to show support for the victims. Things seem to have returned to “business as usual” however questions still linger on everyone’s mind, what could have caused such an horrific event? What was Aguilar’s connection to the victims? Recently featured on Solange Knowles debut record label release album “Saint Heron”. Kelela is creeping up from behind a silk curtain of sultry sounds wrapped in remnants of edm and r&b. Get your whole entire life right off this mixtape by fading into these tracks and remember to share your thoughts below. 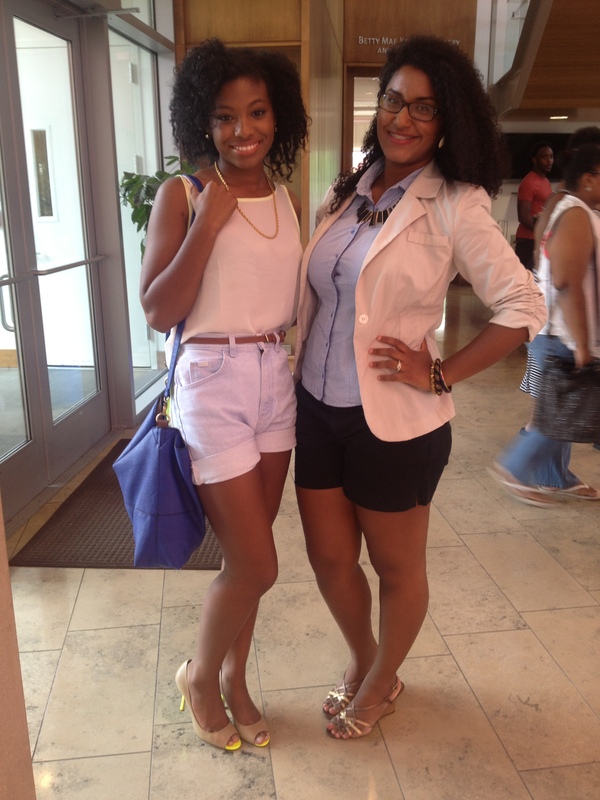 We first ran into these lovely bloggers back in July out gathering Street Intell at the 2013 Naturalista Hair show. It’s seldom that you meet genuinely nice people. They had a positive aura about them that instantly drew me in. And as the universe would have it, I’ve ran into 1/2 of the combo (Anna) on 3 different occasions. It’s simply been a pleasure to meet them and find out more about their bond of sisterhood. I encourage you all to check out and support their perspective on all things Aesthetically Pleasing. Who are Genesis and Anna? G: Genesis is one half of this fabulous duo. I’m a loving daughter, sister, and friend to many as well as an artist, photographer, blogger, music, fashion, and art enthusiast, avid day dreamer, and future world traveler to name a few. A: I am an average human trying to navigate my way through youth. I am a writer by nature, a music aficionado, internet addict, and an admirer of all things eccentric, cultured, and creative. I have a terminal case of wanderlust and curiosity and share my bouts with this fortunate infliction with anyone who will receive it. What inspired you all to start Aesthetically Pleasing? G: We loved the idea of working together and uniting our creative intelligence to possibly build our own brand. Anna and I had so many things in common (fashion, music, politics, etc) it was just natural for us to unite. We wanted this blog to be a platform for sharing our work, dreams, interests. Aesthetically Pleasing has been in the making since sophomore year of high school and is still growing. We love our baby. A: We definitely realized early on that we each had and similar passions, ideas and that if we combined our own sets of talents, we would be a force to be reckoned with. The blog was a perfect platform for us to showcase our work together and upon really positive responses, we knew we had a great formula to really make things happen. What are some of the main messages you want to send to your followers? G: Do what truly interests you. Anna and I innocently started this as a hobby and as we matured and began discovering our true interests and talents we realized that we loved blogging. We envisioned this “hobby” becoming bigger than what we imagined and decided to do something with it witch was a scary yet exciting risk for us. You have to take risks and step out of your comfort zone to realize your dreams. We also want our followers to find joy in learning, sharing, and creating. Anna and I share a passion for a multitude of things and we’ve been able to transfer these interests on a blog. Without our deep interest in learning and sharing Aesthetically Pleasing would have never existed. A: Be your passion and live vibrantly. When you share your passions you never know who you can connect with. Our friendship is a great example of that but even through having the blog we’ve met so many other creative and inspiring people who have really related to what we do, and that’s a comforting feeling. Are there any major milestones you’ve encountered as bloggers? G: I’ve feel more comfortable identifying myself as a writer and blogger. I was nervous about publishing my own writing for the whole world to see. The thought of others possibly critiquing my work and/or intelligence and talent scared me. But in these few months I’ve grown as a writer and feel confident with my work in general. It’s all been a work in progress and I’m loving the results. A: The feedback we’ve been getting from followers and readers has been great. We put a lot of thought into what we do, we don’t showcase our art to get responses from others but it’s encouraging to see people who respect what we do and really rock with our creation. Where do you all plan on taking your brand? G: I don’t think we could fit all our ideas in one paragraph, lol. Anna and I dream BIG. We want to solidify our brand, become household names, collaborate with other talented writers, artists, stylists to create a brand focused on sharing each other’s creative talents and helping others do the same. We’ve spoken about doing several other things in terms of fashion and beauty. Just know that we’re shooting for the stars. 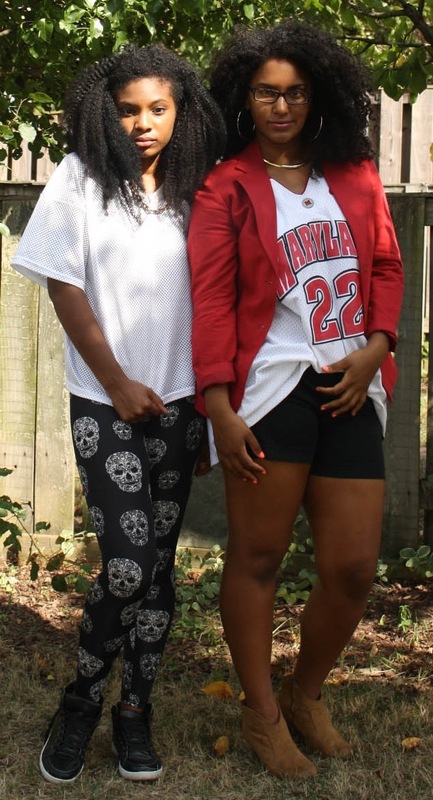 A: We want to be established names in the content areas we write about.Genesis and I are aspiring professionals in our areas of expertise (writing, art etc) so we want this blog to progress as our skills do. We have a lot of ideas up our sleeves that we are meticulously working on behind the scenes. APleasing is not a 2 dimensional concept so we can’t wait to take it beyond the internet and manifest it as a brand, product, and, most importantly, lifestyle. ASPIRATIONS: My goal is to be an asset to my generation. More specifically, I want to offer healing, support, kinship, and inspiration via my music. HOBBIES: I’m a lover of all things artsy, my hobbies all tie into one another. Writing is my passion, I do it often and it often spawns my other “creativities”. I’ll write down a thought and it’ll often times inspire a melody and become a song, or sometimes evoke an image in my head that I’ll use to create a visual piece. STYLE INSPIRATION: Phyllis Hyman, Sylvester James, my mother. These were all style ICONS in my book. I look to them often for reminders of how doin’ it is done! I borrow often from Phyllis’s use of accessories that teeter the line of being breathtakingly regal…and absolutely obnoxious lol. A lot of my style choices in terms of hair and make-up are in tribute to my mom. Sylvester was an absolute trendsetter. He was a style pioneer and I borrow his fearlessness in terms of dressing like whatever the hell he chose to, lol. Although they’ve all transitioned, I still pull a lot from images of each of them in their prime. Huge sources of style inspiration. FAVORITE ACCESSORY: My favorite accessory…accessories really, are anything by Venus Visuals. Their jewelry is absolutely unique and I love the brand’s use of bold/culturally significant prints and unique shapes. Check them out at venusvisualsonline.com. I rock their stuff OFTEN. 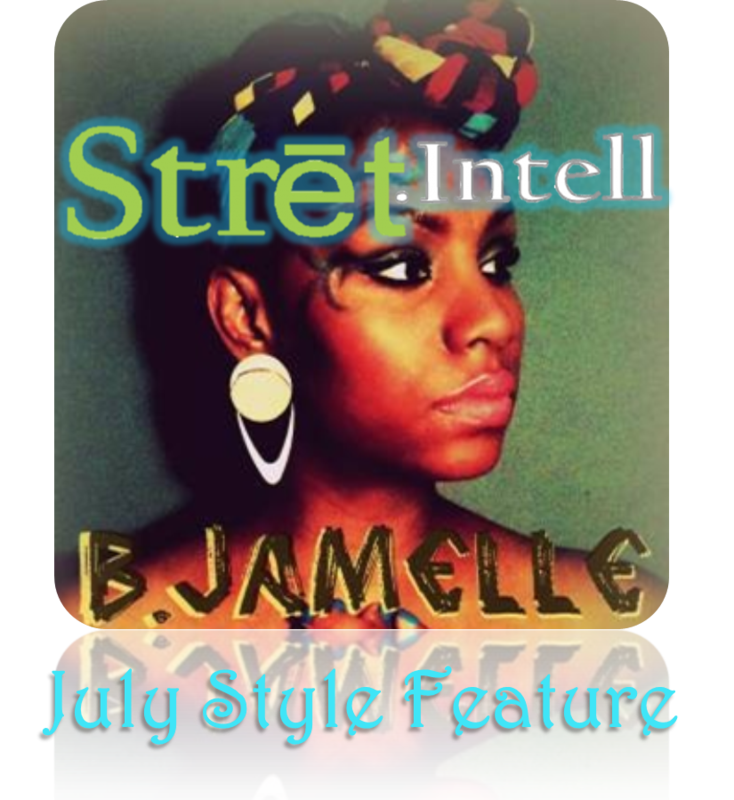 WHAT’S YOUR STREET INTELL: My thing is to be useful, impactful, and contribute as a part, to the whole of things. As I mentioned earlier it’s my goal to use my gifts to promote ideas that are beneficial to my generation. I want to inspire others to inspire others to inspire others and so on. I feel like art is a really pure and effective means of connecting people, right at the core. I want to use my art to connect people’s hearts and minds. It’s an excellent tool to have, and I intend to learn it well and use it effectively.